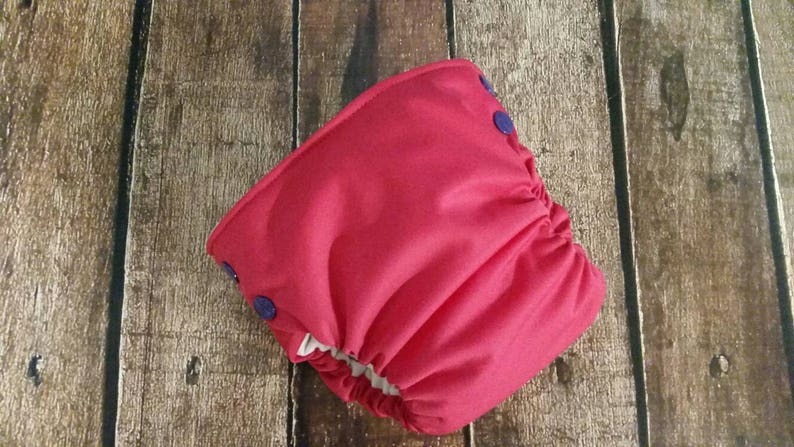 Our Organic Side Snap All-in-One cloth diaper is made from an outer layer of PUL fabric and inner layer organic cotton fleece. The foldable sandwich soaker has three layers organic cotton fleece, with a three layer snap in booster, giving you 10 thirsty layers in size nb and small, and 13 layers in medium and large! Rolled elastic at the legs helps stop leaks from escaping. All items from a smoke-free environment.